John Hardy Dot Chain Necklace 20"
Don't worry about seeing dots! It's a fabulous necklace from John Hardy's Dot collection that is blinding you with beauty. 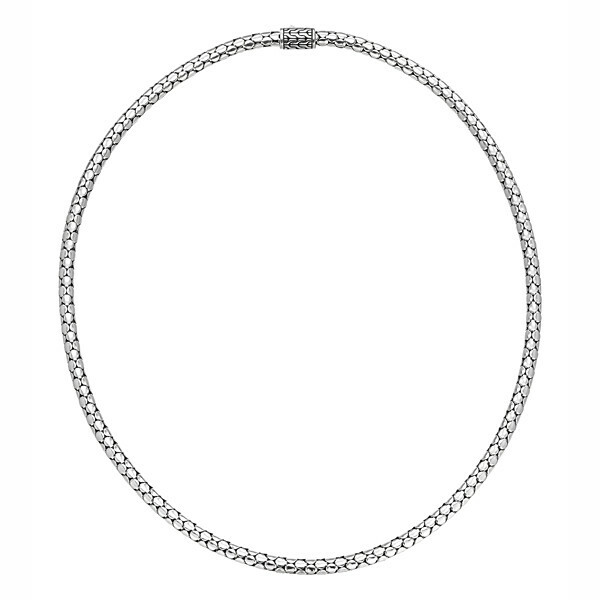 This sterling silver necklace is designed with an array of dots covering the 20" piece. The art-deco flair of this necklace can be adorned with a John Hardy enhancer (sold separately) to increase the pizzazz factor, or it can be worn solo for a fantastic drape across the neckline. You won't want to miss our on this amazing John Hardy treasure.